"Chicago: Music from the Miramax Motion Picture" is the soundtrack of the 2002 musical film of the same name. Upon its release, critics praised the big screen adaptation of Fred Ebb’s and Bob Fosse's Broadway hit "Chicago," and the film took home six Academy Awards, including Best Picture. Directed by Rob Marshall ("Annie," "Pirates of the Caribbean: On Stranger Tides") and adapted for the screen by Bill Condon ("Gods And Monsters"), "Chicago" is the tale of two female stars, one fading, the other about to be born, jostling for the limelight via the Second City's famed Murderers Row. Catherine Zeta-Jones plays Velma Kelly, Chicago's biggest nightclub sensation who happens to be standing trial for shooting her two-timing husband. In walks Billy Flynn (Richard Gere), the slickest lawyer in town. He eagerly takes on Velma's case, the most notorious of its kind in a town known for the juiciest of scandals. Despite her incarceration, Velma's star rises even higher—that is until budding starlet Roxie Hart (Renée Zellweger) kills her abusive boyfriend and lands in jail right next to her. Sensing an even bigger story, Flynn puts Velma on hold and takes on Roxie's case. In short order, Roxie's crime of passion turns to gaudy headlines and Roxie becomes a bona fide star, leaving Velma standing in the shadows. But Velma is not to be undone so quickly, of course. In addition to the songs featured in the Broadway musical John Kander and Fred Ebb wrote a new song for the film, "I Move On," which was a duet sung by Zeta-Jones and Zellweger. Because it was an original song, "I Move On" was nominated for the Academy Award for Best Original Song. However, it lost to Eminem's "Lose Yourself" from "8 Mile." The cast of the film performed the song at the 75th Academy Awards—memorably, Zeta-Jones was eight months pregnant when she performed. She would accept the Academy Award for Best Actress for her role in "Chicago" later that evening. 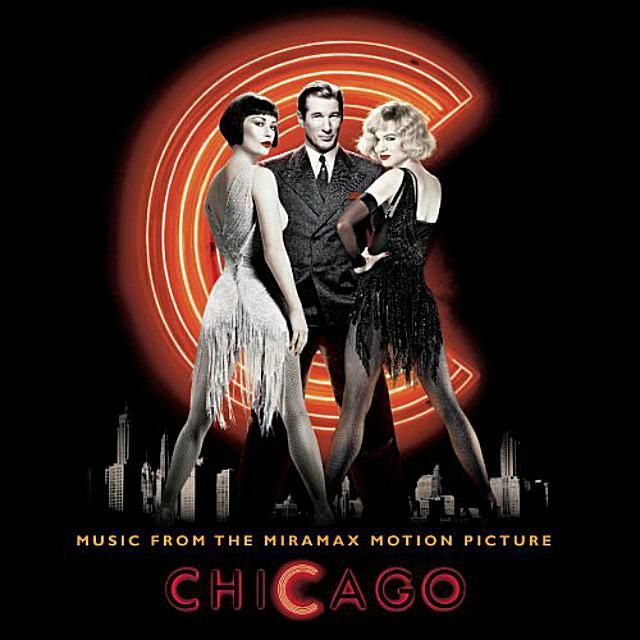 The "Chicago: Music from the Miramax Motion Picture" soundtrack was a major hit, reaching #1 on the Billboard Top Soundtrack Chart and #2 on the U.S. Billboard 200 Chart. The soundtrack also won the 2004 Grammy Award for Best Compilation Soundtrack Album for a Motion Picture, Television or Other Visual Media and "I Move On" was nominated for the Grammy Award for Best Song Written for a Motion Picture, Television or Other Visual Media. "Love is a Crime," which was recorded by pop star Anastacia, was also released as a single and reached #1 on the U.S. Billboard Dance Club Songs Chart. However, it was not actually featured in the film. 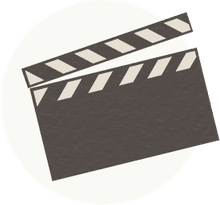 *"Class" was cut from the film, but the deleted scene has been included on home media releases and some television broadcasts.